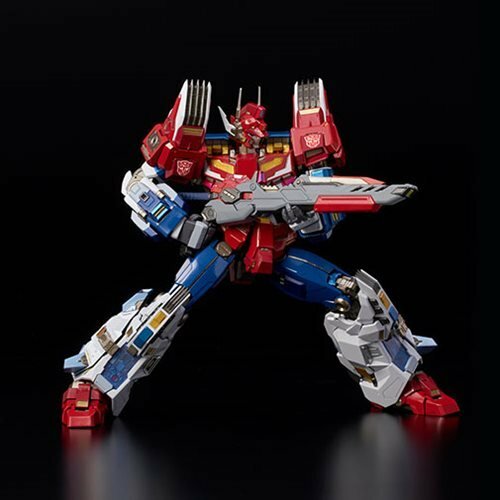 Remarkable 8 1/5-inch tall Transformers action figure! 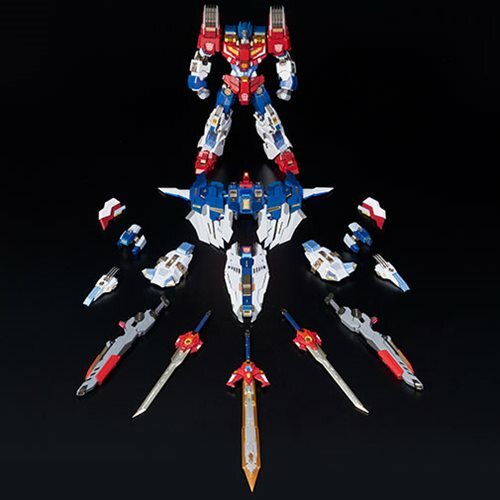 Super-poseable, with die-cast metal parts. 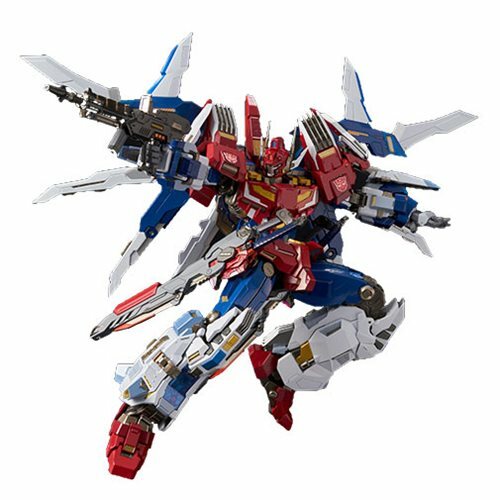 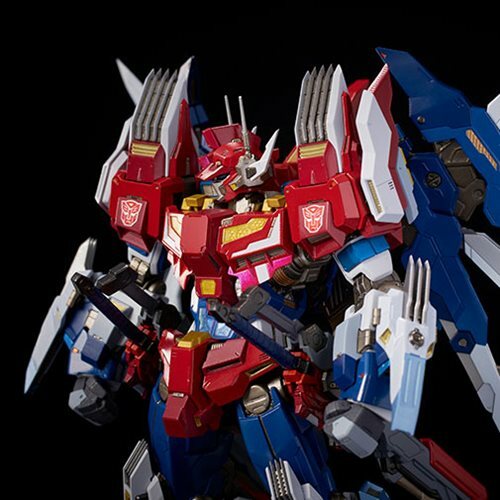 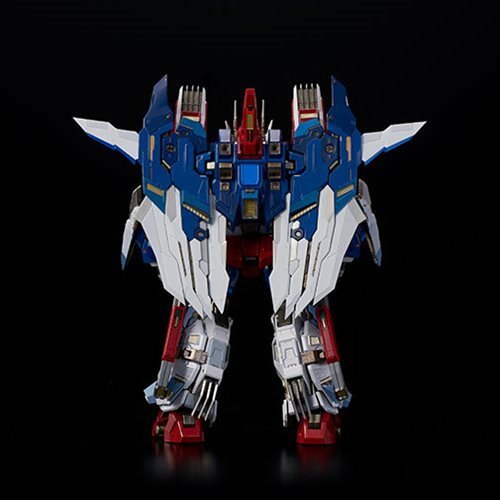 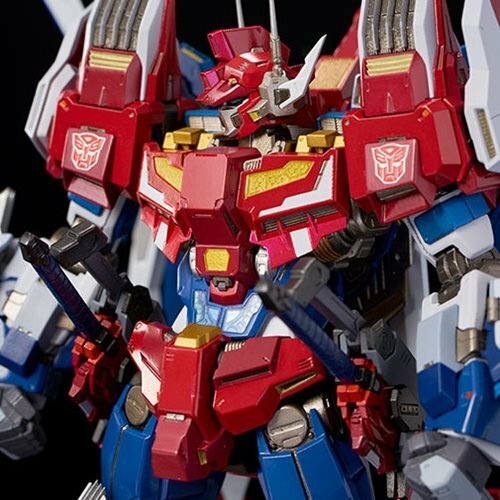 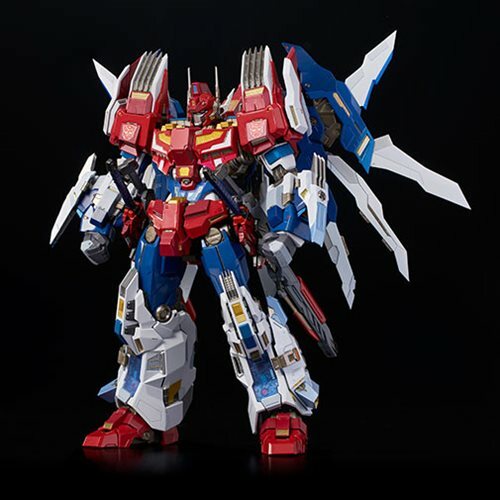 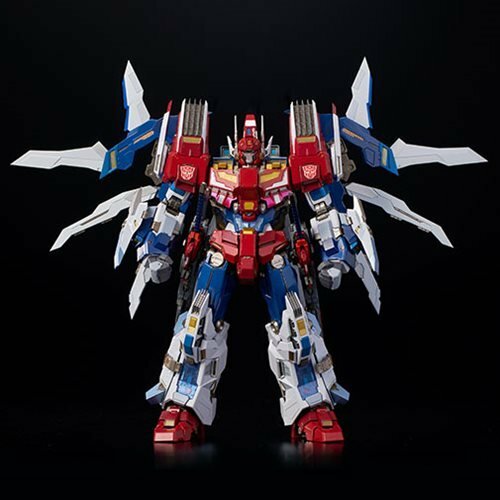 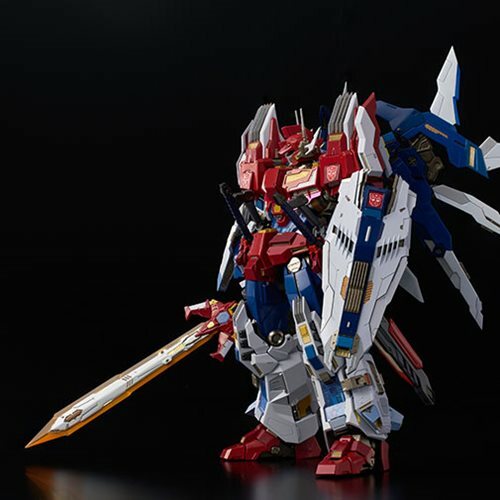 Star Saber has a detachable face mask and 3 LED units in his body. 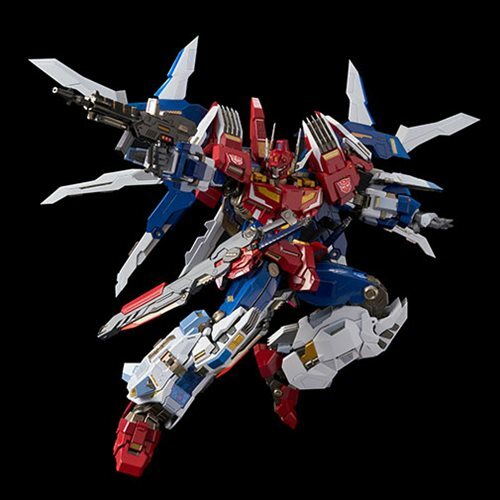 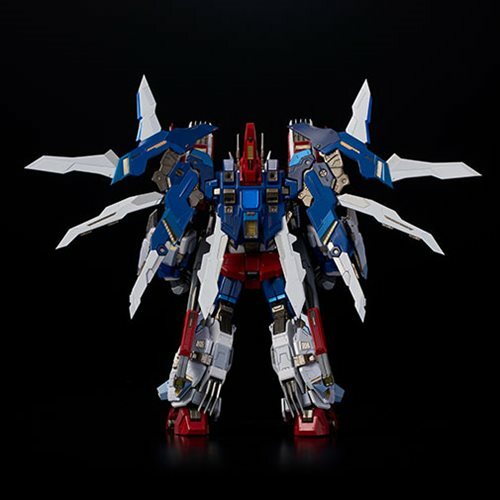 From the creative masterminds at Flame Toys comes the Transformers 04 Star Saber Kuro Kara Kuri Action Figure. 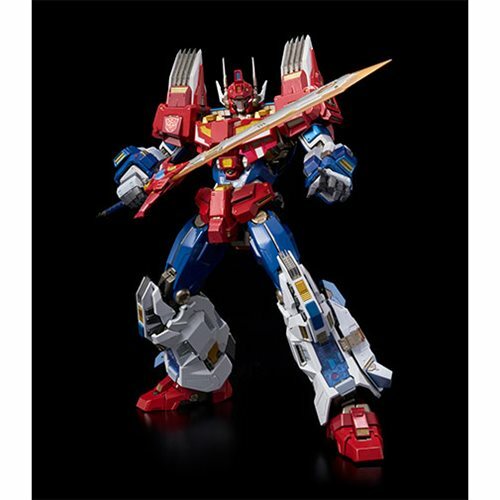 This cool figure is super-poseable, with die-cast metal parts for solidity and heaviness. 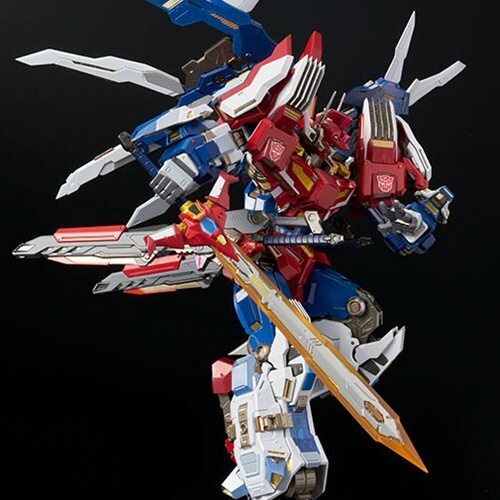 The figure has 2 small busters that can be combined to be a big buster! 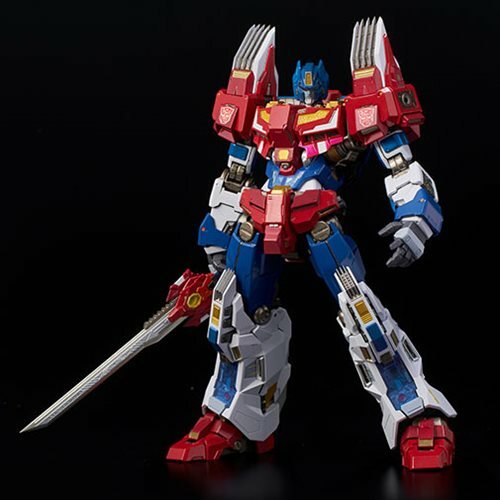 Measures about 8 1/5-inches tall. 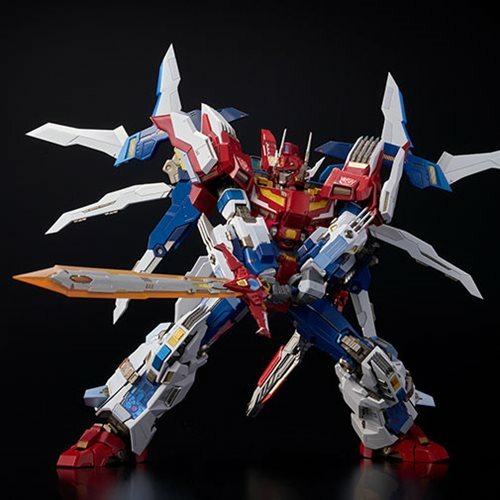 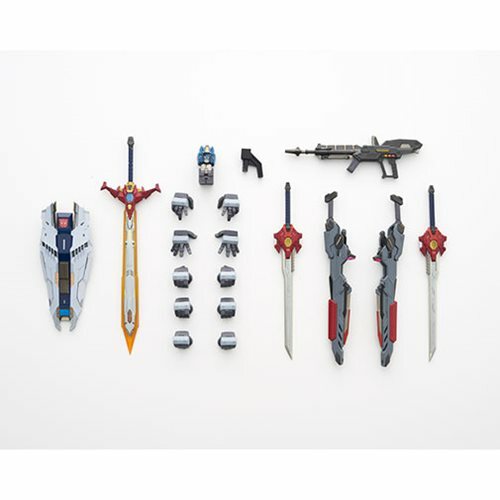 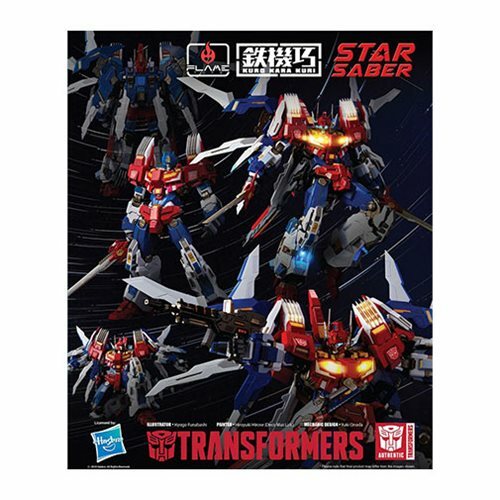 The Star Saber figure includes 2 small swords, a big sword, and a shield for weapons. 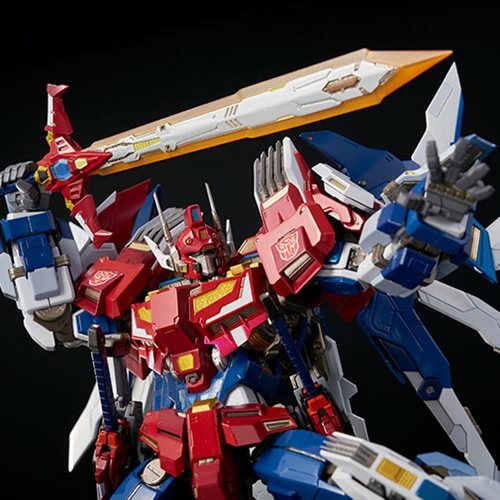 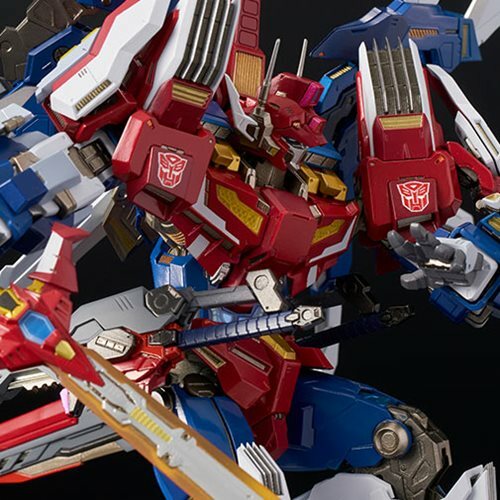 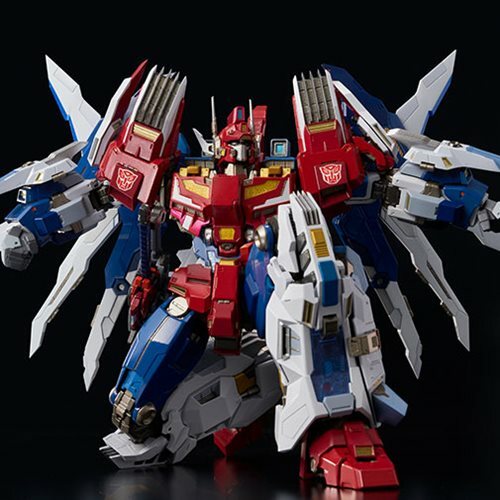 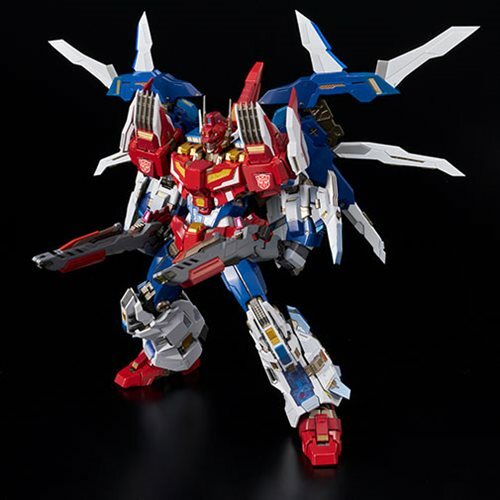 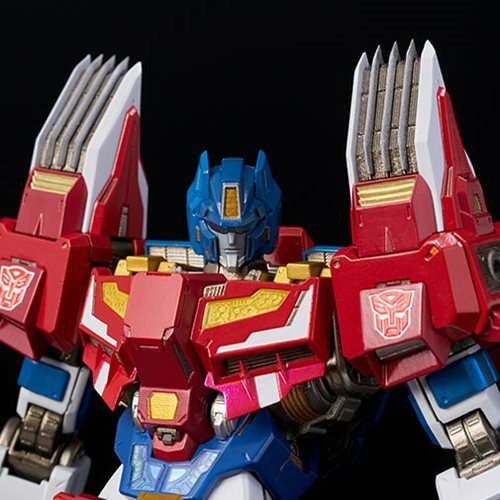 Transformers Star Saber – High-End Autobot Warrior or Menace?